Located on the dazzling Emerald Coast of Florida, Destin beckons countless beach lovers and sun-seekers to its shores every year. Destin's sparkling green and aquamarine waters create a beautiful backdrop for your next vacation in paradise, and this Florida town is an ideal destination for everyone from couples seeking romance to families seeking adventure. Known as "The World's Luckiest Fishing Village," Destin is a dream destination for those who love to fish, boat, and scuba dive. From fishing to snorkeling to biking, there's no shortage of great outdoor activities to partake in during your time in Destin, which is why you'll want to have a great home away from home to return to after a long day of soaking up the Florida sunshine. 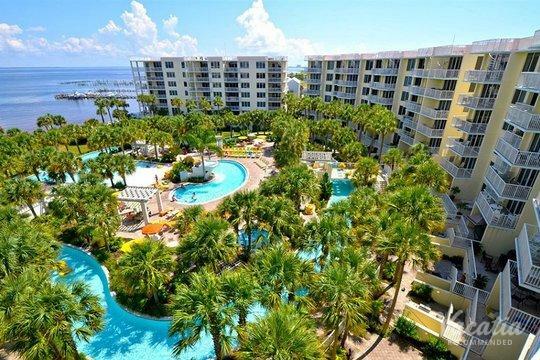 Let Vacatia help you book your stay at one of the best studio condo rentals in Destin so that you can have a fantastic home base during your Florida getaway. 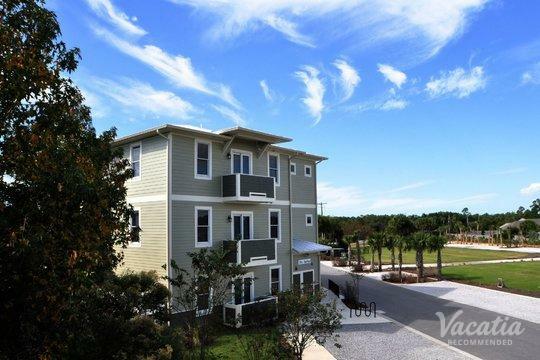 When you stay at one of Vacatia's short-term rentals in Destin, you will be able to indulge in the luxury of a resort as well as the comforts of a home, which means that you can experience the best of both worlds during your time in this Florida paradise. Whether you're looking to escape the cold winter weather back home or are already starting to plan your spring break trip, Destin is a destination you certainly won't want to overlook. Miles of pristine beaches line the coast of Destin, Florida, making this one of the most popular beach hotspots in the country. Due to its year-round beautiful weather and gorgeous natural surroundings, Destin is an ideal vacation destination for outdoors enthusiasts. No matter what you have planned for your time in Destin, Florida, you should be sure to work with Vacatia to book your accommodations. Vacatia can help you quickly find the perfect vacation rental for your stay in this charming Florida beach town. Unlike a traditional hotel room, Vacatia's rental properties provide added living space and comforts, such as a fully equipped kitchen, in addition to the desired luxuries of a resort. There's no better way to experience this Florida paradise than by staying in one of Vacatia's quality resort residences. Destin is situated on a peninsula on the coast of Florida, where it boasts dazzling emerald waters and sparkling white sand beaches. The sun shines in Destin all year-round, making it an ideal getaway for those looking to escape the icy northern winters. 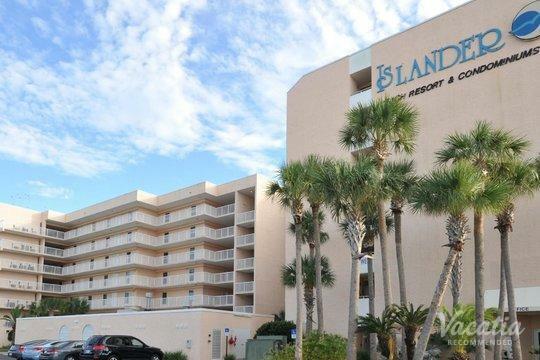 Despite the fact that Destin is a popular vacation destination, its long stretches of white sand beaches are rarely crowded, which means that you can embrace peace and serenity in this gorgeous coastal paradise. Not only is Destin a haven for beach lovers, but it's also a popular spot for those fond of fishing. Destin has earned the nickname "The World's Luckiest Fishing Village" for good reason - a fishing trip off the coast of Destin never disappoints. So whether you're heading to Destin for the sunshine, the fishing, or the laidback beach town vibes, you should elevate the quality of your trip by staying at one of Vacatia's vacation rentals.